Science fiction films are a genre I love dearly, and they're often divided into two camps - blockbusters with bombastic action sequences and a few kernels of provoking thought, and quiet indie stories of a dystopian future. There is certainly room for both in this world, and I enjoy both, but I think Arrival is one of those few films that gives you enough of each to feel different. That's not to say this is a big-budget blockbuster: Arrival had a budget of $50 million and uses special effects with care. The film follows linguist Louise Banks (Amy Adams) as she's pulled into the military world to help make contact with aliens who've landed on Earth. The aliens appear in 12 separate regions of the world, and, as you'd expect, don't speak any of our languages. Their ships have a sleek, minimal look, and the aliens themselves are shown sparingly, resembling something closer to sea creatures than your Roswell-variety extraterrestrial. Banks works with a team on the ground to have short, monitored visits with the beings in an attempt to teach them our language and learn theirs, all with the ultimate purpose of learning: "Why are you here?" before the government deems the creatures a threat. 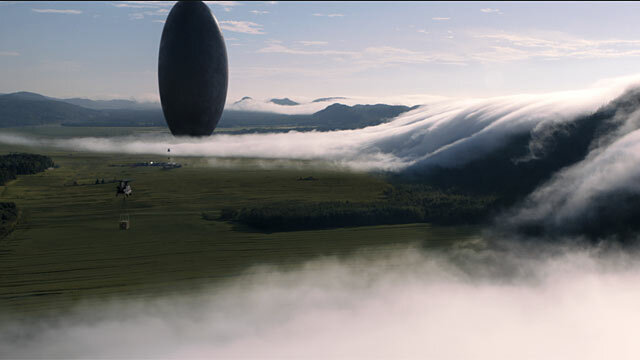 Arrival goes the extra mile on the political level, though, and entertains the notion of how countries around the world would respond to first contact with these creatures, and whether our countries would work together or stand apart in their approaches. It's hard to talk much more than that about the plot without spoiling the experience, save to say it also delves into Banks's own personal life along the way, but the results are fascinating. The precision of director Denis Villeneuve (Sicario, Prisoners) and an incredibly thoughtful, intelligent script detailing the barriers in communicating with and understanding other cultures makes Arrival one of the best movies of the year, if not my favorite movie so far. It offers a unique perspective on the universal problem of language and how languages drives our own thought processes and experience. It's also full of gorgeous cinematography and has a sleek soundtrack, to boot. Jeremy Renner and Forest Whitaker also show up in Arrival, playing a scientist and Colonel helping facilitate contact with the beings, but this is basically Amy Adam's movie. She's the solo star throughout the film, and she's a marvel of a character; enough so to forgive the lack of character development in anyone else. The film's only stumbling block, in my opinion, were two pieces of dialogue delivered by Renner towards the movie's end. His performance isn't the issue - they're just unusually sappy and cliche for a film that so cleverly subverts expectation - but these moments comprise probably 15 seconds of an otherwise perfect film. Obviously the year's not closed yet, but it's hard for me to imagine enjoying a film as much as I loved Arrival. If you need to take your mind off of anything this weekend, it's a great chance to do that, and put humanity's scale into perspective.